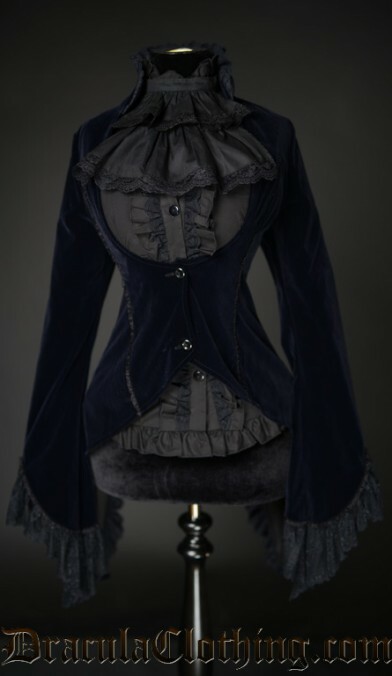 This item is in stock in Prague, and will be sent the first working day after we receive your payment. 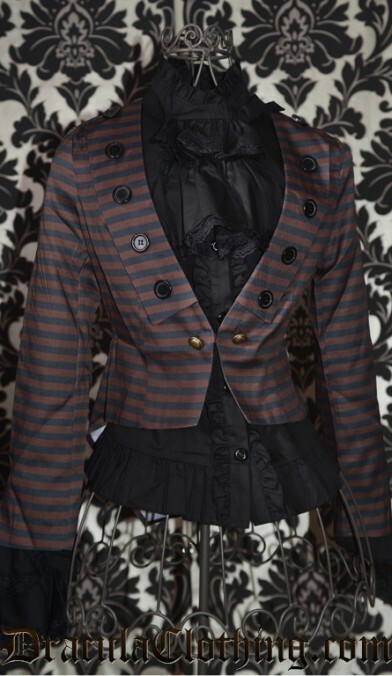 The jacket is fully lined, has brass coloured buttons. 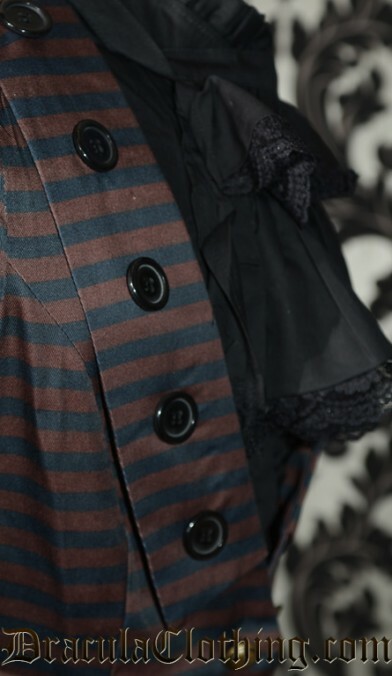 The tuxedo tail back is a cool detail. 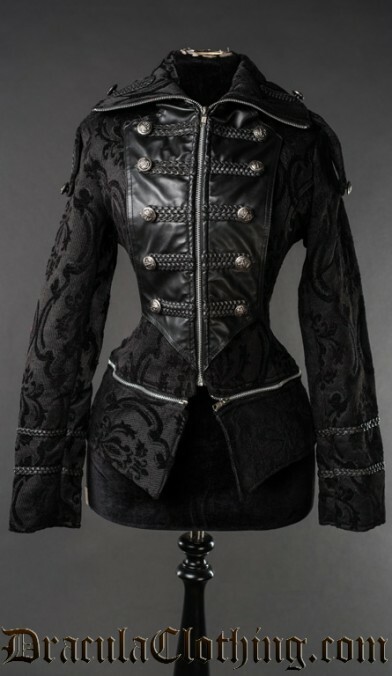 The jacket has brass coloured buttons. The tuxedo tail back is a cool detail. 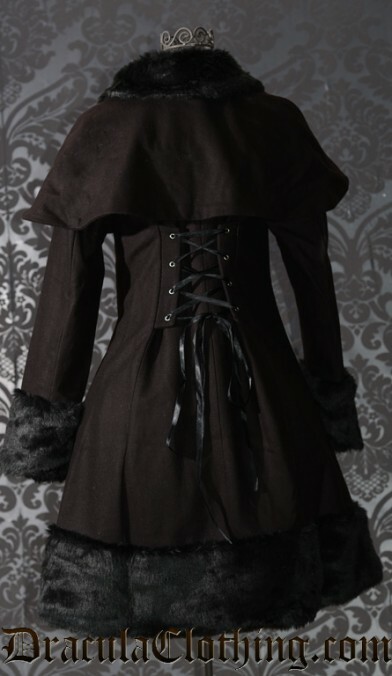 The Steampunk Pirate Coat keeps you warm on a spring or autumn day. 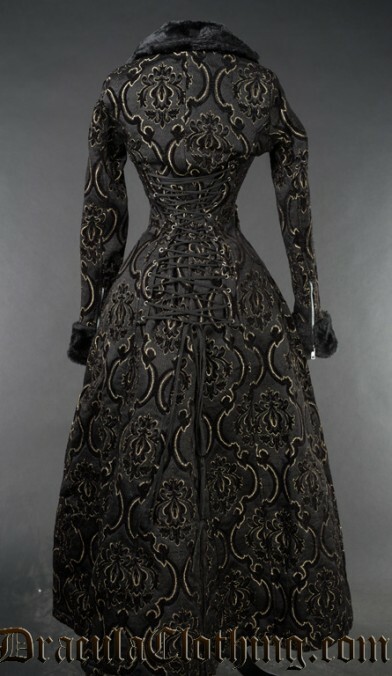 It is made in a beautiful, warm shade of brown. 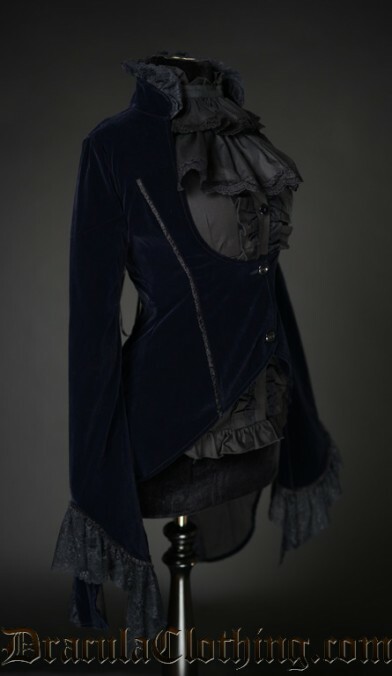 This victorian tailcoat jacket is made of velvet, in a midnight blue colour, with lace details on the sleeves and collar.. 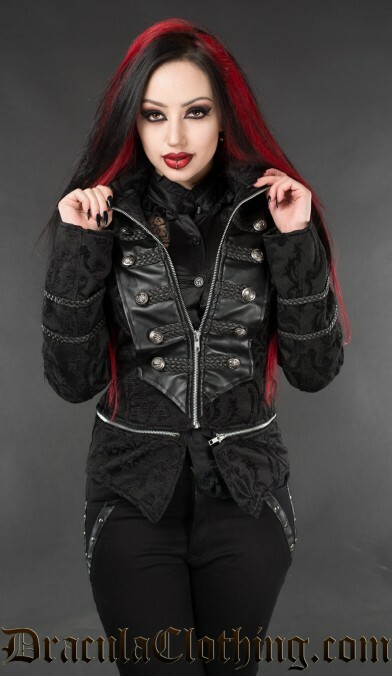 The jacket laces up in the back for the perfect fit. 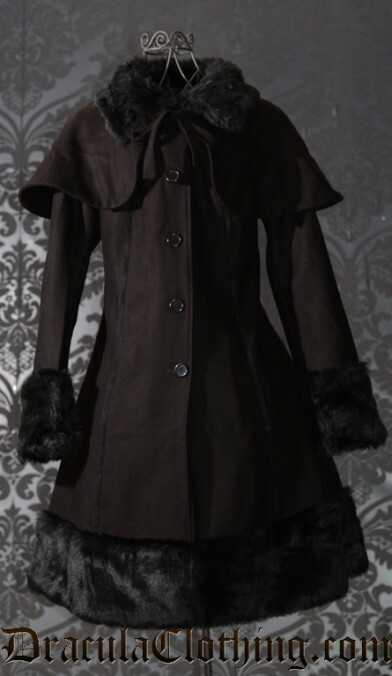 This amazingly warm coat is perfect for the coldest winter days. 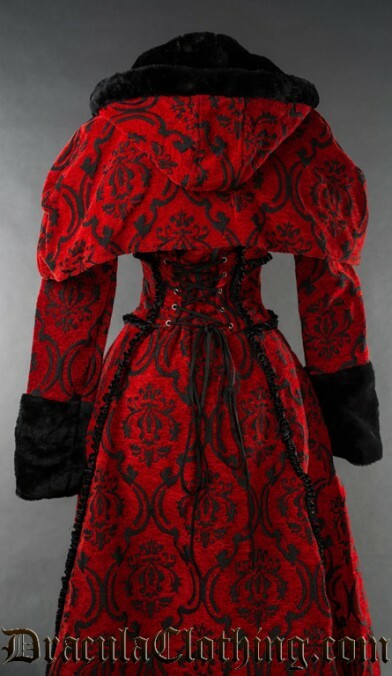 It features a removable cape and is made from a wool material, with quality satin lining, and cuffs, collar and bottom trim in faux fur. 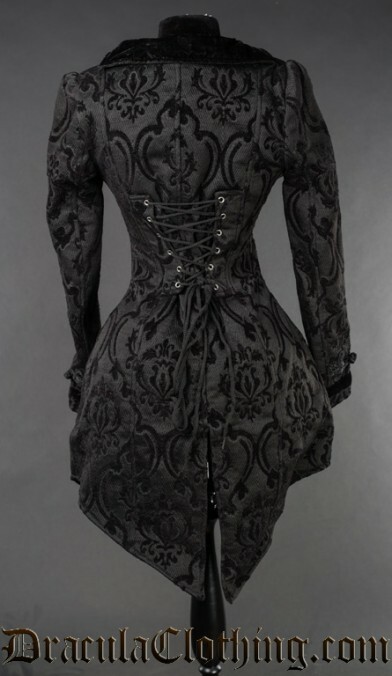 With the lacing in the back, the coat can be tightened about 16 cm in the waist. 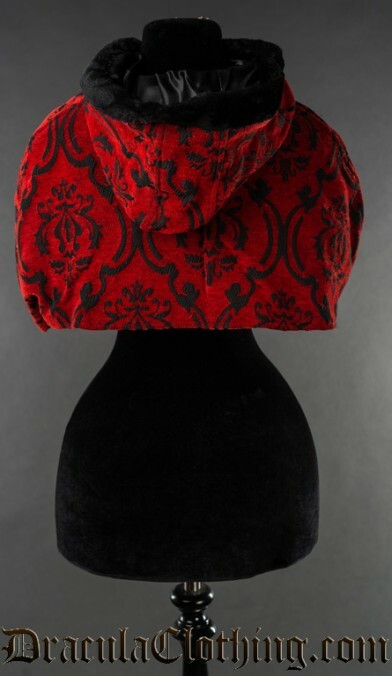 This brocade hood with faux fur trim matches perfectly with any of our red and black coats. 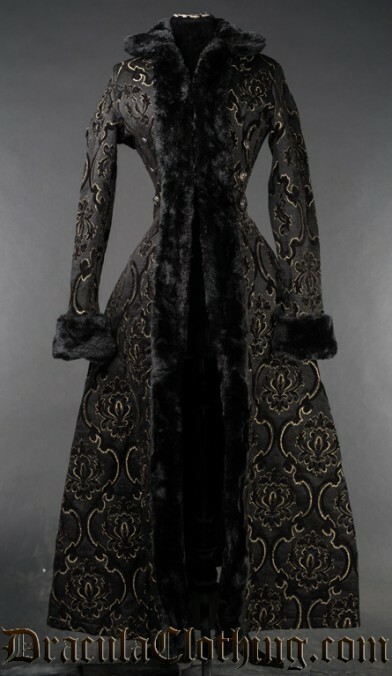 This long coat is made of a thick brocade fabric, with a faux fur trim and satin lining. 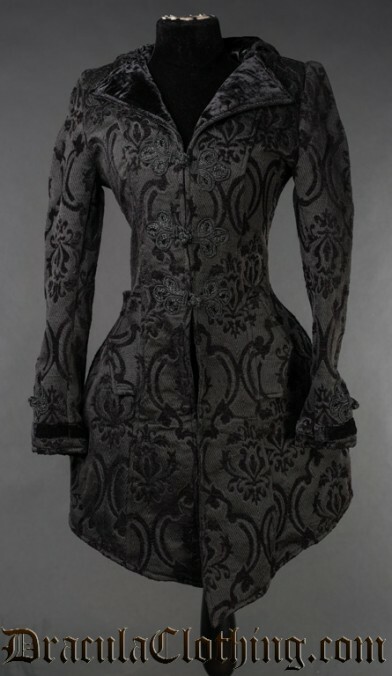 It features six decorative buttons with an anchor motif, and zip detailing on the sleeves. 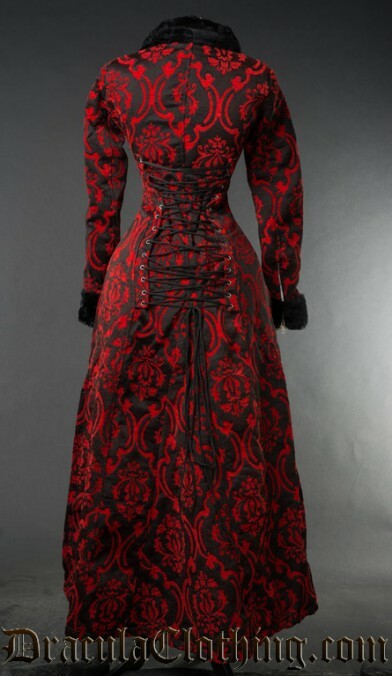 It has two hook fastenings in the front, and can be tightened with the lacing in the back.